Highly Recommend written by mobile Good product buy! Item took longer than usual to arrive, which is most likely due to delay at the Singpost side. Product came as described and good quality! Bought tempered glass scratch resistant for Samsung S10 plus. Item received in good condition. Fast delivery. One thing to mention, the cut for camera not deep enough and think unable to protect the camera. As above, delivery was super fast. It reached me in a day later! V slim design too. Love it for the price bought too. Highly Recommend written by mobile Good Quality! fast shipping!! I am a repeat buyer!! The case is a steal and a absolute value for money. The shipping is inbelivably fast and prompt. 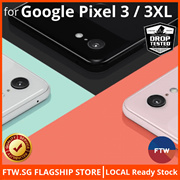 Have been buying from this very responsible seller for all of my phones and my family phones. Highly recommended!!! The order took 6 weeks to arrive. The package may have lost along the way and out of goodwill, the seller had resend the order. Kudos to the seller for the good service. Item well received.Shipment was fast too. Decent casing for the price. Fast delivery & Good quality! 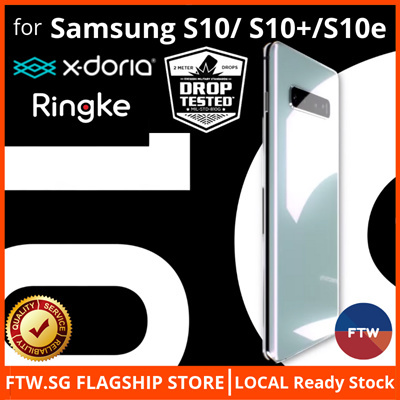 Currently, we do not have any front and back casing for Samsung s10, but, we do have dropped tested casing, that are not strong and sturdy and but, not bulky. May I know what's the difference among the nano flex film, glue adhesive tempered glass and 9H tempered glass? May I know this is for which phone model ? If it is for Samsung S10/S10+ phone, only nano flex film will work with your fingerprint display,all tempered glass, be it glue adhesive or 9H will not work with your s10/s10+ phone. We have confirmed all these with many big factories in China who specialised in producing tempered glass for the smartphones. Hope all this info helps. Is your Nano Flex Screen Protector made of tempered glass? Currently, in the marketplace, no tempered glass will work with S10 due to it's incompatinility with the fingerprint display . Reason being that the new fingerprint technology which Samsung uses ie. Microwave technology, is causing sensitivity issues for tempered glass that are placed over it. Many big factories in China are having difficulties making their tempered glass work with the phone as the thickness of the tempered glass will cause sensitivity issues when placed over the phone. We have been talking to many factories to find a solution to this problem and we have recently talked to a R & D engineer from Korea via one of our factory's partner and they have come with a new way to resolve this. Currently, the only way round this problem is to use a 0.15 mm thin film. We have found the factory that are experienced with this technology and have tested that it work on Samsung S10 & S10 plus phone. Hi, order number 125399879 shipped on 28 Feb but not yet receive. All orders have already been shipped. Please give 1 to 3 days for delivery. 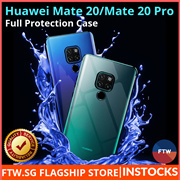 Hi, I'm looking for Hybrid Armour Clear Case Hybrid Armour Clear Case offers unparalled protection for your S10 / S10+ from scratches or dents in a lightweight unibody design. Under the drop down but I couldn't find it. Can you help to check for S10+?